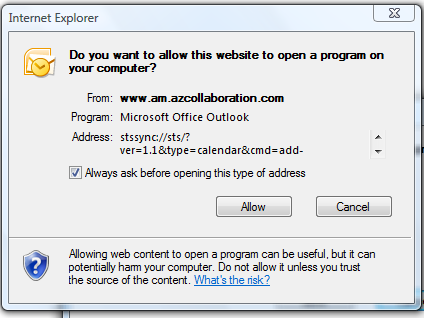 Fill in to "To:" with appropriate recipients, always remember to add "YOUR OWN" name aswell, as this will make outlook to throw a pop-up box in the end asking you if you want to synchronise this with your "Outlook" calendar. Once you fill out TO, Subject , Location , click on "Meeting Workspace" icon on top of the window and click "Create", this will create a Meeting Workspace for you under the SharePoint site you have, and will insert a link to the new "Meeting workspace". 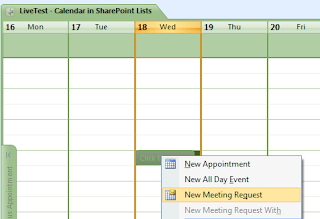 it will create a Meeting Schedule for you in your Outlook Calendar and on the SharePoint Calendar. It will also populate all the members on to the meeting workspace from the "To" field on to the "Attendee's" list in the Meeting workspace. It will also put a schedule in your SharePoint calendar where you can navigate to the Meeting workspace. It might take 2 or 3 minutes to reflect the meeting in SharePoint calendar as its done by a job service. Double clicking on the event will show you the Meeting workspace and other details (including the attachments if any) where you can navigate to the Meeting workspace. From the Next time you schedule the Meeting, make sure you follow this step as it will help to create only one "Meeting workspace" and track all your meetings on the same workspace as oppose to create multiple workspaces. 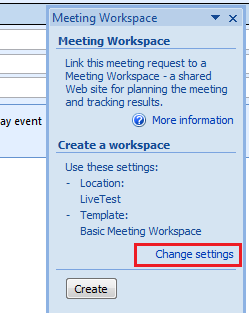 Once you click the "Meeting Workspace" > Click on the "Change Setting and select the second option. This will create a new meeting schedule on the Same Meeting workspace and you can track all your meeting schedules, agendas, Meeting minutes on the same Meeting Workspace and Navigate to this from your Team site Calendar. 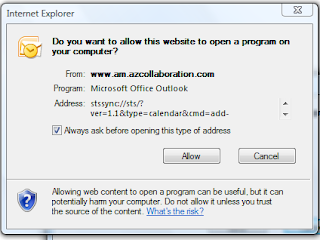 Hope this steps helped you to configure Meeting workspace from Outlook and how you can make use of SharePoint more in your project or in your day to day activities.